Situated in the business district, this hotel is within 6 mi (10 km) of Tamarack Village, RiverCentre, and Woodbury Lakes. Indian Mounds Park and Phalen Beach are also within 6 mi (10 km). Situated in Maplewood, this historic vacation home is within 6 mi (10 km) of Keller Golf Course, Maplewood Mall, and Century College. Indian Mounds Park and Minnesota State Capitol are also within 6 mi (10 km). Situated on a lake, this romantic vacation home is 3 mi (4.9 km) from Keller Golf Course and within 6 mi (10 km) of Xcel Energy Center and Como Park Zoo and Conservatory. RiverCentre and Minnesota State Capitol are also within 6 mi (10 km). Super Bowl Rental Close to Both Downtowns! Situated in Maplewood, this vacation home is within 6 mi (10 km) of Century College, Maplewood Mall, and Phalen Beach. RiverCentre and Keller Golf Course are also within 9 mi (15 km). How Much is a Hotel Room in Maplewood? Hotels in Maplewood start at $74 per night. Prices and availability subject to change. Additional terms may apply. Heading to Minneapolis - St. Paul? Need somewhere to put your feet up? Travelocity boasts an excellent range of hotels and rooms. You will be able to find about 19 accommodations within a 6-mile (10-kilometer) distance of Maplewood's center which are listed as part of Travelocity's easy-to-use booking portal. 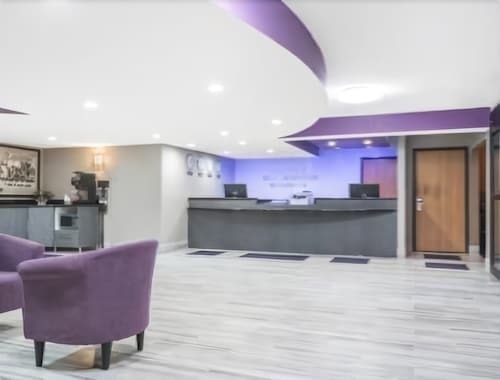 Hotel options that are fairly close to the center of Maplewood include the Holiday Inn St. Paul - I94 East - 3M Area and Country Inn & Suites By Carlson, St. Paul East, MN. The Rivertown Inn can be found about 11 miles (19 kilometers) from the town center of Maplewood. If you would prefer another option, the Hotel Ivy, a Luxury Collection Hotel, Minneapolis can be found 12 miles (20 kilometers) away. You could also choose to make a booking at the Residence Inn By Marriott Minneapolis Downtown or the The Saint Paul Hotel. You could spend some time seeing University of St. Thomas and Hamline University, which you'll find in St. Paul, 5 miles (8 kilometers) to the southwest of Maplewood. Some Travelocity-listed St. Paul hotels and apartments include the Holiday Inn St. Paul Downtown and Embassy Suites - St. Paul. 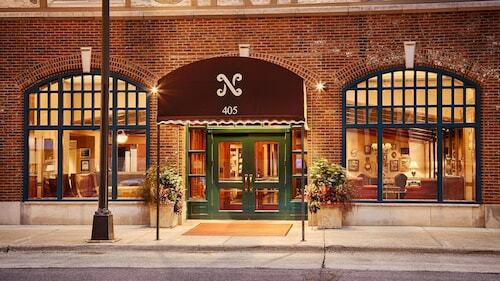 Or, you could consider staying in Hastings, 20 miles (33 kilometers) southeast of Maplewood, where you can choose from the Nichols Inn of Hastings and Val U Stay Inn and Suites. The Alexis Bailly Vineyard and Carpenter St. Croix Valley Nature Center are a couple of the most frequented places to see when in Hastings. Just because you are on a break, should not mean that you can't feed your passion for stadium sports. You can find Xcel Energy Center 5 miles (7 kilometers) to the southwest of Maplewood. Book Travelocity-listed accommodation not far from the sporting action at the InterContinental Saint Paul Riverfront or the DoubleTree by Hilton Hotel St. Paul Downtown. If you're traveling through Minneapolis - St. Paul International Airport and want to base yourself nearby, why not consider Radisson Blu Mall of America or Embassy Suites by Hilton Minneapolis Airport.